Ever since the days of the Protestant Reformation, Paul’s Epistle to the Romans has doubtless been one of the most studied and yet the most misused books of the Bible. Rather than merely being Paul’s soapbox for “justification by faith alone,” it is a complex and beautiful literary composition that explores the relationships between Jews and non-Jews in the Body of Messiah and in the world as well as many other important issues that faced the earliest Messianic believers. In today’s attempt to restore the Jewish roots of the Gospel in many churches and Messianic congregations, many of the problems and lessons of Romans have once again become extremely crucial and relevant for the followers of Yeshua to understand and practice. In order to better comprehend the writing style and world-view of Paul, this commentary references many pieces of Second Temple period Jewish literature that informed his background and were the building blocks of his religious thought. The unique perspective of Israeli believers who have personally experienced many of the issues Paul addressed in Romans makes this book a valuable resource for those who take the Jewish context of the New Testament seriously. The numerous references to the Hebrew Bible, Qumran, and rabbinic literature make this book a must for all who wish to inquire into the meaning of the most important documents in Paul’s writings. Shulam and Le Cornu have done a masterful job. 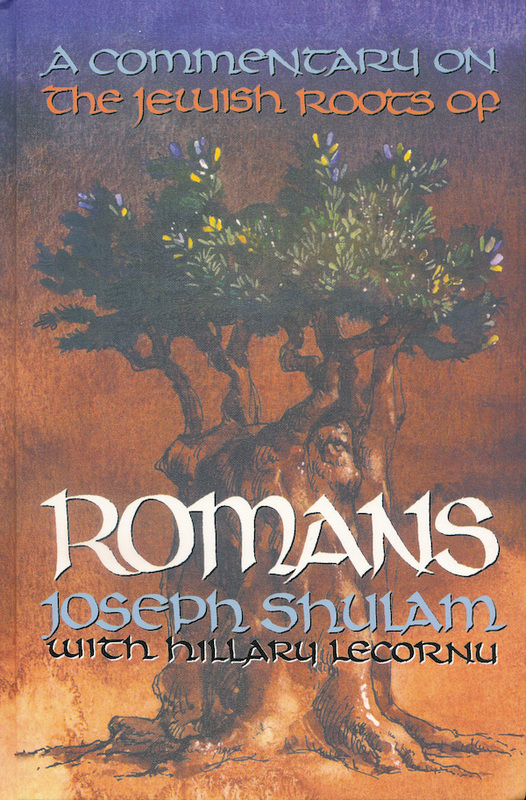 I know of no one with greater ability than Joe Shulam in showing the Pharisaic and Jewish background for understanding Paul…This book is a treasure chest. This work will prove an indispensable resource for scholars interested in the early Jewish context of Romans and the Jewishness of the faith of first-century believers in Jesus. I strongly recommend it for all those who have more than a cursory interest in the Jewish backgrounds of the New Testament.